The West Hartford Town Council held a four-hour public meeting Monday night regarding the Town’s potential purchase of the UConn West Hartford campus. West Hartford’s Town Hall Auditorium was packed with a capacity crowd of approximately 500 people who came to listen, learn, and weigh in on whether or not they think the Town should purchase the UConn West Hartford campus. Town Manager Ron Van Winkle gave a presentation about the economics of the decision – a critical factor impacting the decision the Council must make prior to June 17, 2016. The decision would have been required by May 14, but on Monday morning the Town learned that it had been granted an extension by the University. 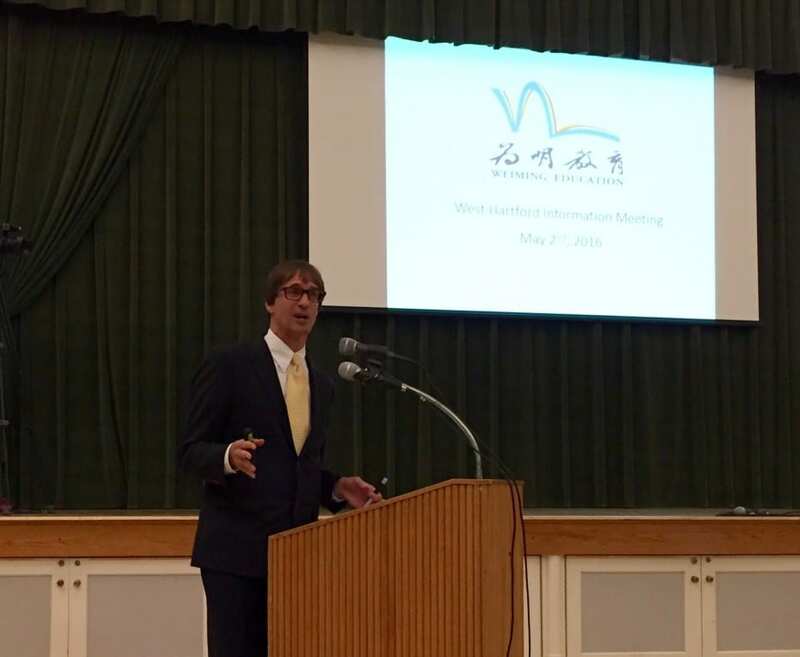 A presentation was also made by Superintendent of Schools Tom Moore regarding an exchange program involving 21 to 25 Chinese students set to begin with Weiming Education Group this fall, as well as the potential for a larger exchange program in the future. Chinese-based Weiming Educational Group has provided UConn with a letter of intent indicating that it would like to purchase the campus for $12.6 million for the purpose of creating an international academy, and Tim DiScipio, CEO of Weiming Education Group USA, also gave a presentation to the crowd. Thirty residents spoke at the meeting, with many expressing a desire for West Hartford to retain control of the property and others asking for additional information that they still felt was missing even after listening to the evening’s presentations. Van Winkle summarized the events which led to the decision the Town now faces. The timeline began in 2012, when he and Mayer Slifka first learned of UConn’s interest in closing the West Hartford campus and moving to downtown Hartford. Those plans were made official in June 2014 when UConn’s Board of Trustees authorized the move to Hartford. The Town met with area neighbors in 2014, and also began an initial evaluation of the facilities. Van Winkle said he reached out the University of Saint Joseph and University of Hartford, neither of which were interested in the campus. The Central University of Finance and Economics in China expressed some initial interest in the site for a university, but that never materialized. Van Winkle said that advocates brought up the possibility of putting affordable housing on the site. There was also interest from non-profits – a bandshell for the West Hartford Symphony, a theater for the Park Road Playhouse – all of which would be nice but there was no funding behind the ideas. The Children’s Museum has previously expressed a desire to move to the UConn property, but the cost of that move would be between $15 and $20 million. Weiming first entered the picture in June 2015. 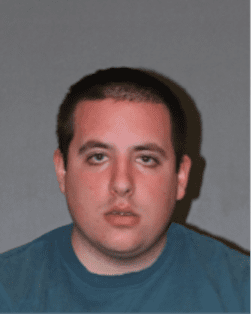 Van Winkle said he was told that they contacted UConn directly and toured the campus, but he did not meet with representatives of Weiming until September 2015. When UConn’s Board of Trustees passed a resolution in December 2015 of its intent to sell, West Hartford was given the opportunity to make an offer. Van Winkle was officially given permission to negotiate with UConn on Jan. 15, 2016. “We had hired a civil engineering firm to evaluate the site work. We met with the University multiple times over the coming months,” Van Winkle said. UConn offered the property to the Town of West Hartford for $14.9 million, but that offer was declined. In February 2016, Weiming Education Group officially expressed its interest in purchasing the West Hartford property in a letter sent to Van Winkle. With the town’s knowledge, Weiming also entered into negotiations with the University of Connecticut which was determined to be statutorily obligated to give the West Hartford the first right of refusal to purchase the property. On March 29, Weiming formally expressed its intent to purchase the UConn property for $12.6 million, and on March 30, the University of Connecticut Board of Trustees authorized the negotiation of a purchase and sale agreement between UConn and Weiming Education Group, which has not yet been executed. “That’s where we stand today. There’s a buyer who says they are interested in purchasing the site. We have the right to step in and purchase the site for the $12.6 million they offered,” said Van Winkle. The UConn property is 58 acres, much of which is encumbered by wetlands and floodplains, Van Winkle said. Seventy-four percent of the property is regulated by the wetlands commission, and because of that only a small portion of the property is able to be developed. The buildings total 185,000 square feet, and the estimated cost of demolishing them, including abatement of hazardous materials, is $5,500,000. The Town currently receives $101,022 in P.I.L.O.T. (payment in lieu of taxes) from the state. Van Winkle spelled out why the economics don’t work for most types of development on the site, other than office or retail which would require rezoning and likely be rejected by the neighborhood. The property is zoned for single-family residential occupancy, but for the economics to work out a developer would have to build 180 lots – far more than would be possible. A multi-family residential project would have to be approximately 360 units to work economically, Van Winkle said. The Town doesn’t need the space for any municipal or school buildings. A public park, which many have suggested, would require wetlands permits and a special use permit, Van Winkle said. The cost would include the $12.6 million purchase price plus $5.5 million to demolish the existing buildings, plus the cost of park and field construction – a conservative estimate of $20 million total, said Van Winkle. To finance that, bonding would have to be issued which would include an average carrying cost of $1.65 million. Annual operating costs could be $250,000. Total annual expenditures for the park could be $2 million. “That’s a big deal for us,” Van Winkle said. “If we don’t purchase the site there is a secondary school for international students that has offered $12.6 million. They will have 90 days from signing of their agreement for due diligence and until end of year to get local approval,” Van Winkle explained. If the deal is approved, which at a minimum would require approval by the Town Planning and Zoning Commission, West Hartford is likely to receive about $500,000 in new taxes. Although the decision before the Town Council right now is about whether or not to purchase the UConn property, that decision has become intrinsically linked with the relationship between West Hartford Public Schools and Weiming. Superintendent of Schools Tom Moore explained the exchange program that has been put into place and is set to launch this fall. That “pilot exchange program” for which 21 students have already been selected, is the only deal that has been agreed to at this point. The agreement was signed in January, and has been discussed publicly with the West Hartford Board of Education, Moore said. It was not done secretly, and the visit to China by Assistant Superintendent Andy Morrow and Director of Summer and Continuing Education and Diversity Roszena Haskins was to meet with the students and their families. Is was not, as asserted by Michigan-based TEAM 20 which has rallied against a Weiming exchange program in its rural town, a lavish sightseeing trip. “They heard these stories of these fantastic kids that would enrich our own kids’ experiences,” Moore said. They also answered questions about what West Hartford is like. “Those students would be welcomed, would become our kids.” Moore said he hopes that the Chinese students have not read some of the things about them that have been said about them online. Moore reiterated that he is comfortable charging $13,000 in tuition, the same cost that out-of-district students are charged when they are given permission to attend West Hartford Public Schools in instances like when a family moves but wants their child to remain in the high school. Mayor Scott Slifka asked Moore if there is already a deal for an influx of students as an “out-of-town newspaper” has asserted, referencing an article last week in the Boston Globe. Moore reiterated statements he has made previously that the Weiming students will not harm existing students’ ability to get into college because they will be treated as international students. The high schools do not rank students. As for any future expansion, Moore said it will be a question of how much room we may have due to declining enrollment. The most that could ever come is 125 in 11th and 125 in 12th grade, he said, with 60-65 in each high school during the years of lower projected enrollment. It will also be an exchange opportunity for West Hartford students to go to china for breaks, during the summer, or for a semester. Council member Chris Barnes asked about several issues raised in the Boston Globe article, including the motivation to enter into a relationship with a for-profit Chinese company. “We are not engaging in partnership because we are small town in Connecticut in a financial pinch looking to fill our coffers,” Moore said. Council member Chris Williams asked Moore about allegations made in the Boston Globe article about Homeland Security investigations into the way Weiming uses arrangements with colleges in order to allow students to remain in public schools for two years rather than the one year period allowed under an F-1 visa. Students in West Hartford would be taking ECE classes through UConn. “I can tell you right now, I wish I recorded the conversation. She took word of an outside group in Michigan that there is an investigation. I think this is good for our kids. Everything we are doing always will be up front, on the level, vetted by attorneys, vetted by me. We will engage in the most ethical behaviors,” Moore said. Tim DiScipio, CEO of Weiming Education Group USA, provided some back ground on the company and programs it has in place in other U.S. districts. The West Hartford campus will be an international high school serving international students who will board and receive instruction. The decision to move forward will be made in the summer once the due diligence, which includes an evaluation of the structural integrity of the buildings, is complete, he said. DiScipio added that “Interest in developing an international school is not dependent on our students attending West Hartford Public Schools.” He said the deal was never contingent on an arrangement with West Hartford and when asked directly said that he has spoken with other districts. Slifka asked DiScipio about allegations of a Department of Homeland Security investigation and problems with the visa program. DiScipio said the allegations originate with a group in Michigan that is opposed to the program, and that he is not aware of any improper conduct. “We are completely unaware, districts are unaware. We have only heard one resident saying we are and then the Globe article came out,” DiScipio said. 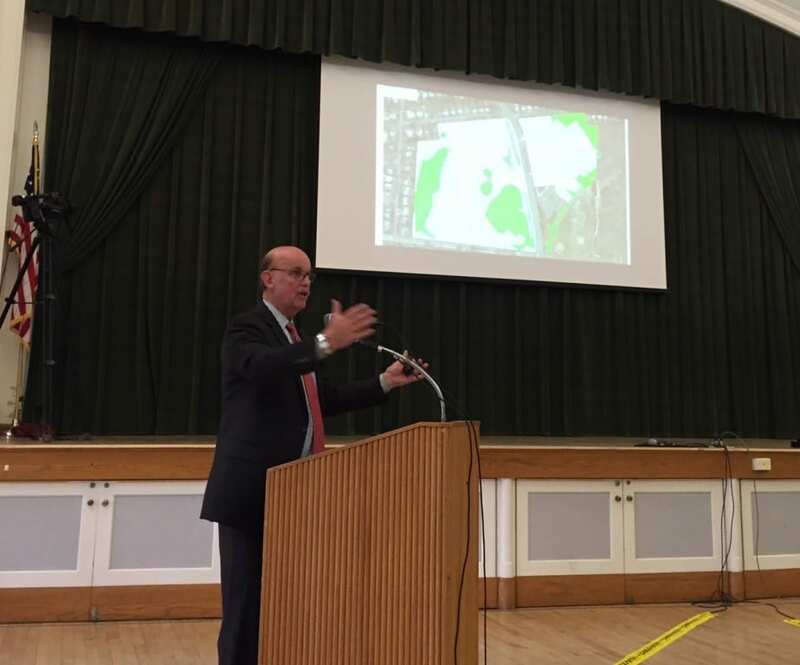 After several hours of presentations, a majority of the 30 residents who spoke to the Council still expressed some concern and many said they preferred to have the Town purchase the property. John Hegarty, who lives on Lawler Road right near the property, said as soon as he heard UConn would be selling he hoped it would be made into a beautiful park. He’s concerned that if Weiming purchases the campus, “I’m afraid of 500-700 adolescents moving behind our house. Who looks after them in the evenings,” he said. Susannah Chen said it’s difficult to disentangle the purchase of the property from West Hartford Public Schools, and expressed concern that Weiming’s business model is backed by an education broker. She provided the Council with copies of brochures that appeared to be recruiting Chinese students as young as eighth grader to enroll in a program to come to West Hartford to attend their junior and senior year at Conard or Hall and take AP and ECE courses. Chen recommended that the Town purchase the property to retain control of the site. Other residents supported Weiming’s plan, with some reservations. Terry Schmitt, a former member of the West Hartford Board of Education, said that after listening to the presentations he realized “there’s an awful lot we don’t know.” The Town wouldn’t know what to do with the property and Weiming wasn’t clear about their plan, he said. “Given those two options it seems to me the responsible thing is for the town to let Weiming buy this property. Buying it for $12.6 milion we don’t have,” he said. Schmitt said he does think it would work out. Danielle Wu, a third-generation West Hartford resident whose husband is Chinese, expressed some of the strongest support for Weiming and disappointment by some of the other comment. “I feel a lot of talk xenophonia,” she said. Wu said the experience of having the international students will be a great cultural opportunity, impart a love for American values upon the Chinese students, and provide financial benefits as well. “I don’t support increasing taxes for no purpose, and it’s not practical to buy the property just because Weiming might not have long term business viability,” she said. 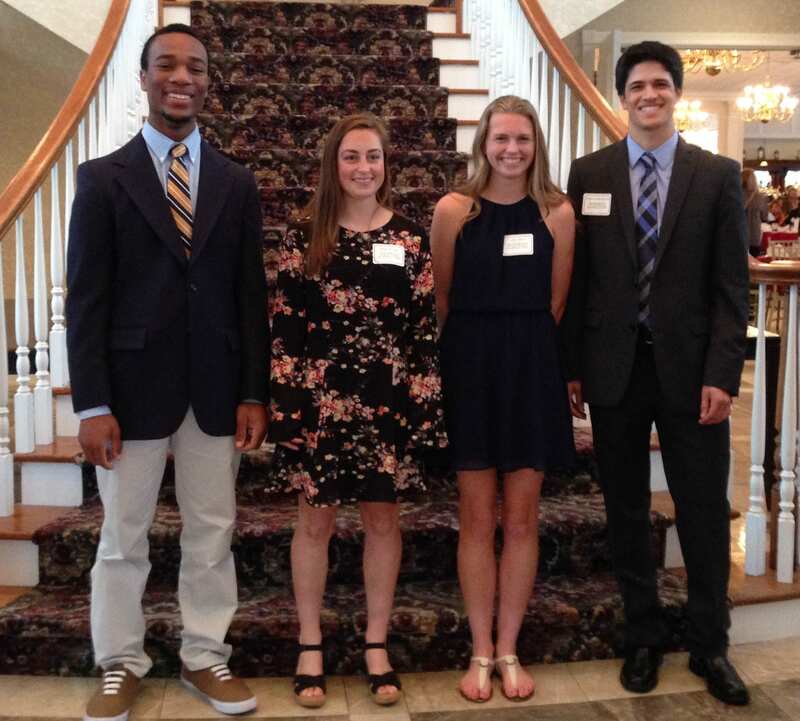 “I hope that we will not vilify the students because of an article we read about a Michigan group or because fear of a little competition,” said Lauren Drazen. Playhouse on Park (not Park Rd Playhouse) has never expressed any interest in moving to this property? I attended the meeting and felt that there is little alternative to letting Weiming buy the site. Although Tim DiScipio said that Weiming was not dependent on enrolling students in the town schools, he also mentioned that the town would be doing the visa paperwork. While Tom Moore made a good case for having resources available for the incoming students, this is not a cost or a resource that currently exists in the town. It reminds me of when we had to take on the Blue Back parking garage because the developer would have none of it. That has lost money since it was built. In this case, we are unwittingly signing up to be the visa agent for a private school and giving them a break on tuition to boot. While I am not opposed to Weiming coming in to town, I feel that we should be treating a private business differently when calculating a fee. Once WH enters the business world as a contractor, they need to add margins to offset the extra services outlined above. Great Feedback and ideas! I’m very impressed with WH Community coming to the meeting and truly participating. Why not keep an itemization of every minute and penny spent and present the bill to Weiming. Don’t forget TRANSPORTATION! Pens, Paper, Books, anything you have to order extra. I’m more than sure that this will no longer be a desirable contract. Applying for visas is not currently something included in the cost of educating a child. Everything else in your list is. When the town becomes a de facto subcontractor to this school, the resident (or former resident) rate should no longer apply. Weiming collects $40K, sends the kids out for $13k in education, maybe another $10k in room and board and pockets the difference. The objection is that our public resource is being used for profit and there is no surplus going to the town for its trouble. Yes, Totally agree with your points on equitable profit taking/fair compensation! Why would we lose this large chunk of property in WH and take a chance on an unproven company? 500 17-18 year old Chinese kids with no parents in West Hartford for two years is asking for trouble. Let them try this in another town, prove success and then we could consider. West Hartford isn’t a Guinea Pig town. My guess is that it’s a done deal and that last night was nothing more than political theatre so the Council can claim to have listened to the public, just before they vote to approve it. That’s how the town administration and government seems to work…do things behind the scenes and involve the public only when it’s already too late. Why else would they hold a meeting about something this big a mere two weeks before the purchase deadline? Because they aren’t going to buy the land and the town and schools are negotiating with Weiming for seats in our schools. Compare this to the “special” May 16 Town Council meeting which, based on what I’ve heard, is going to be nothing more people praising Scott Slifka. That they schedule close to a month in advance. A meeting about a huge deal like Weiming? I little-publicized, eleventh hour meeting is criminal. I really wish things were different in this town. I really do with Van Winkle and the Council cared as much about the taxpayers as they do about the tax dollars but they don’t. Moore wants this. Van Winkle seems to want this. Former BOE member came supports it and former Deputy Mayor Chuck Coursey works for Weiming as they try to force this through. The people of this town deserve better. a. Demand a lower cost per student by threatening to move the kids to another town’s high schools. Weiming stated they have already spoke to other town high schools and are certain some will comply. Those other towns might find the additional revenue very appealing and it could become a bidding war. 2) Mr. Moore, the superintendent seems like a great guy with the interest of the children in mind, but with that said I do not think it is possible for him to have a unbiased perspective on this. I think the idea of doing something so new in education is an extremely appealing to an ambitious man and could cloud anyone’s judgment. I would find it hard to believe he is not seeing the potential for national and international exposure in the future based on him being a key player in the creation of the, in his words, “First International Public School“. 3) Hundreds of adolescent kids in town where many may resent their parents shipping them off to the other side of the globe. 1)	Visa program – Reaching out to Larson, Blumenthal and Murphy to get this loophole in the visa law corrected. Even the potential that the law will be change to close the loophole will force Weiming to reevaluate their business model’s future. I have done this and I recommend you do as well. 2)	Property – It seemed last night everyone thought the only option for the town to buy the property was if it could self-fund the project. I do not think people are looking at the option of developing the land for some homes with the understanding it would not break even. I think a Bond referendum for a plan that would put the town on the hook for only a few million dollars (after the sale of the properties for development) and provide open town space (the wetlands) would be appealing to the town and great for property values. 3)	High School – Have the actual teachers publicly, or privately, tell the town how they think this will impact the schools. Also, have Mr. Moore explain how we protect ourselves from being taken hostage finically from Weiming down the line. 4)	Surrounding High Schools – Weiming stated they have spoken to other neighboring schools districts. I would recommend reaching out to town leaders of the surrounding towns (Avon, Simsbury, Glastonbury, Newington, Farmington…). If those towns make it clear they would not be taking in students the entire profitability model of the school will change and become less desirable. Going to top American HS is the major selling point to their clients. It seems the town currently charges $13,000 per school year to an out-of-town student who attends WHPS, such as a family who moves to another town but wants their 12th grader to stay in WHPS. So that should be the price for the Weiming kids too. Do we ever look at the business plan of anyone purchasing property in West Hartford? Does the town check to see if you can make your mortgage payment before you purchase your property? Is that the town’s place to check your business plan? No, and so it shouldn’t be the case here. If Weiming fails, they’ll have to sell the property, and the town will still have control over what happens on the property due to zoning laws. VanWinkle says that a developer would need to put in a 180 lot subdivision ($70K per lot) and due to wetlands, it is not possible to put in 170 lots. So fears of a huge subdivision seem unfounded. West Hartford is not rolling in cash, my friends. So to buy and remediate the property for ~$20M and then have no real need for it is pure fiscal foolishness. Too many kids in your back yard? I am sure the school will have rules and house parents, just like any boarding school does? Does Windsor have huge problems with the Loomis-Chafee kids? How about Suffield from the boarding students at Suffield Academy? Answer, no, they don’t. Let it sell, and let the new owner invest in West Hartford, and increase the town’s revenue on a low tax producing property. The town will have plenty of say about the property’s use in the future if the buyer fails financially. As soon as a private company’s new venture is stabilized one of the first, of many, thing good management should do is reduce costs. To think they would not attempt to do so, especially once they have the leverage of 200 plus students, seems odd. Any business or consumer buying in large quantities expects a discount and I do not see any reason why it would not apply here. Some colleges offer discounts if sibling enrolled. In addition, any large volume buyer would expect special treatment and some ‘reasonable’ level of input, curriculum in this case). Larger retailers do this all the time by requesting manufactures to change packaging, the ingredients in products and even how some products are produced. The in case of public education even Individual parents demand changes every day and sometime are successful. I was successful myself only a few months ago when I expressed my security concern of a school related smart phone app. They school heard my concerns and has the app company modify the permission setting on the app. If the town becomes dependent on those additional student numbers because it allows them to have additional courses and offerings, this will increases the private companies leverage in obtaining what it wants (regardless if it is good or bad for the town). If the company does not obtain what it wants with its current supplier, in this example WHS, it will start shopping around. By the time that is likely to happen, due to natural demographic changes over the next 10 years, the surrounding towns will be seeing drastically declining HS student populations and maybe interested in additional students. This is not some crazy prediction it is basic free market principles and what any business owner should push for. Regardless of all the above, at the end of the day this whole business model is based on exploiting a loophole in the current visa laws and should not be possible based on the spirit of the law. In addition there is not true value to the town so why would/should we mess with great schools to help a private company. If this was a program to help less fortunate children from China, or anywhere for that matter, I would be more than happy to ignore the visa issue and actual see a value. But, the reality is this is just another example of the more powerful and wealthy exploiting the law to help themselves. These children’s parents are the Chinese elite and they have enough money and resources that not getting into a WH HS is not going to hurt them in the least. So well said, John. I totally agree with you on all points. Having those kids does little good for WH. And helping a for-profit company making millions in exchange for a small portion of that money just does not make sense, given the huge negative consequences; Furthermore, if Weiming is to make millions off of this deal each year, why does not WH think of a way to get all the money for itself? Weiming is nothing but a greedy company bent on making money by exploiting loopholes in law. 1)	The town’s citizens should be educated and have the chance to decide if higher taxes would be justified to buy the land (unlikely). This is not on the radar for most people that this will impact because they are already too busy caring for a few children under the age of 6 and the idea of thinking what could happen 10 years out is not something the public is very good at. 2)	The loophole in the visa law should be closed or the votes should have a voice regarding if the law should be written to allow multiyear International HS student visas. I would like members of congress state their position publicly. There reelection will show whether the people approve. 3)	Pressure should be on applied on the area schools districts to avoid this or make sure it is only done is a very controlled way where it is benefits the towns’ families. PS – I am sure the majority students you mention go back home for holidays and vacations which ‘may’ be very different for these kids. Not one has told me so I do not know and I would like to know. FYI – Some individual that are Chinese born citizens and worked in china for over a decade as well as worked within the international education field expressed some concern during the town hall due to cultural realities. This is not xenophobia. At the end of the day that is the least of my concerns. I do not even live on that side of town, but if you bought a house that backed up to a college and the next day it was back up to a boarding school I would guess you might be interested in that. Also, if the town figured out an alternative you might not be so opposed to the idea. I am not saying Weiming does not have a right to buy the land and use it. The fact is the town has the legal right of first refusal so I do not see why anyone would have a problem with the town people having the chance to say if they want to exercise that right is has to buy the land. I agree that there are a lot of good, reasonable, non-fear-based arguments being made in the comments here both for and against. There were also some reasonable arguments made at Town Hall. However I found that the majority of comments / apprehension expressed at the town hall council smacked of anti-foreigner sentiment. For the record, the ethnic Chinese citizens at the town council who I believe you may be referring to, stated that they are from Taiwan, and their concerns were laiden with outdated and unfair anti-mainland China sentiment that is really not germain to the discussion. (FYI – Xenophobia refers to a fear of foreigners: one can be xenophobic if they view someone of their same ethnic heritage as a foreigner.) Peace! I do not this is a case of Xenophobia. It is obvious that Weiming is just exploiting a visa law loophole to make millions for its owner on the back of the tax payers of West Hartford and the state. Our town should not be helping a for-profit foreign company in making millions of dollars. P.S. Your remark about the Taiwanese is a little off. I know many ethnic Chinese originally from mainland China who are opposed to the proposed deal. You can’t compare Suffield and Loomis boarding students to this situation – these students from Weiming would all be foreign students – the students who board at Suffield and Loomis are not all foreign students. However the town would be wise to speak to faculty and administrators and students from Loomis and Suffield and Miss Porters and Ethel Walker and Avon Old Farms and KO and NWC to see what their experience has been with international students from China. BTW – In general, I do not agree with the practice of packing your kid up and shipping them off to boarding school to begin with. So I really cannot speak to the boarding school you referenced. I am not stating it is bad practice, even though some studies would suggest it could do some harm to some children, I am just stating that I think a child’s place is with their parents whenever reasonable possible (I have never seen a study where that model has negative impacts on a child with the exception of unfit parents) In addition, one of the reasons I moved away from NYC to a suburb, like WH, is because I wanted to raise my kids in a neighbor with some diversity and also a place where parents were extremely involved in their children’s lives because I know that can make a big difference in a child’s development. It’s a done deal. Moore wants it, Van Winkle wants it, former BOE member Terry Schmitt supports it and former Deputy Mayor Chuck Coursey works for Weiming. The fix is in and last night was nothing more than political theatre so the Council will be able to claim that they listened to the public when they cast their votes against purchase and eventually, in support of letting Weiming do whatever they want. Van Winkle has never met a ‘development’ plan he doesn’t like and while there may not be a formal agreement in place, my guess is that that they have a handshake deal with Moore and the BOE and when the time comes, they’ll approve this thing in record time. If only Van Winkle and Council cared as much for the taxpayer as they do for the tax dollars but they don’t. Wouldn’t it be great if they could turn this property into something similar to FSA or Oakwood? Hall doesn’t have its own hockey rink, this could be one for them only a couple miles away. With all the sports that are played in Weha, it would be great to have an indoor facility that could be used year-round. Then, the town’s children would have a nice place to play their sports and here’s a novel idea, the town could actually charge taxes on the property instead of giving it away for free again like they did with the Blue Back Square project. Our taxes keep going up even though all these new businesses come into town. How about we start caring for our families instead of just businesses?! The xenophobia in your comment is palpable. How dare you feel any alternative to an International school for that property would be better? Just shameful. FYI – That was sarcasm. If others int he town agree, works for me. I am not sure but it seems like you are implying that people are morally deficient because they are not blindly accepting with open arms the idea that a group of international elite, non-Americans, want to build a school, for their children, in a specific American neighborhood and reinvent the financing structure of public schools for there own interests. This is not like NIMBY issue about a public utility that would benefit anyone in the town or the surrounding towns. This company’s mission is for the success of ‘their’ students (and Profits) which would be totally fine by me if it did not directly impact, potentially in a negative way, the success of my children. Why would I blindly think all there decisions were in the benefit of my children going to the town’s public schools (which have a mission statement that is non profit driven). If someone’s house backed up to a pottery barn and it closed down to become a bar are you saying they would be of poor moral fiber because they were exploring options for a different type of business to take its place? If Weiming was building a international school that had a model that was not based on buying seats in our public schools it would not be an issue. I completely distrust a company that worked with lawyers to figure out a way to game the visa laws and figured out how to buy seats in a public school. Why would I blindly trust a company like that? So you are ashamed because people think a private company may not have their children’s interests in mind? American companies do not even have the American public’s interests in mind. YOu are focusing in on the most monir part of the argument anyway. It is Straw man that distracts from the real issue. Buying public school seats, which can create many problems, and circumventing visa laws. You make a great point and I agree that there are arguments to be made against Weiming that do not stem from xenophobia. I also think that the fear that Weiming buying seats in our schools is a forgone conclusion and that this would necessarily be a bad thing is premature. From what I heard, Weiming’s decision to buy the property is not dependent on whether their students can attend our public schools; these are independent decisions. It doesn’t matter what we think Weiming might hope for – let them buy the property at their own risk if they so choose as we continue to vet the viability and benefits of a public school exchange. I personally believe that there is a strong business case for Chinese students to study at a private US-based institution even without the public school exchange, which is why Weiming has stated their interest in the property despite a binding agreement for future public school exchange. For the record, I am a strong supporter of WH generating income off the property and not letting fear of the unknown stand in the way of reason. As for Weiming in particular, I have no affiliation with the school but trust in the public process and leadership of the superintendent and school board to make the right decision on behalf of our students, to the extent that our public schools do end up getting involved. I understand your perspective Danielle but I was at the town hall and heard directly from the WH Superintenant Thomas Moore and Weiming COE Tim DiScipio. There is already an agreement for 20 students to study at the WH HS for $13,000 each. They will be attending in the Fall as long as all the visa paper work is approved by then. So it is starting to happen as a polit. That is quarter of a million dollars for next year alone. The Towm manager spoke as well and made a comment how a $50,000 difference in the WH town budget is a big number. His words, not mine. Also Weiming is already executing this business model in Michigan HS as well. The WH superintendent was very excited by the prospect that these foreign students could make up for the declining student numbers due to changing demographics. He forecasted the need to 250 students about 10 years out. Right at the time my children will be in HS. Also, when the COE of Weiming spoke he confirmed that he spoke to other HS in the area already about the program. When he was asked if WH did not participant in the program did he think other schools would, his responds was “definitely”. This is not just about an international school. This is about importing foreign students, for profit (not need and cultural exchange), in to American schools. Money from an outside group, that does not have our children’s interests first, is an influence I do not think we want. We are not talking about a few thousand dollars. We are talking eventually about millions a year. That directly impacts dozens of teaches, classing, activities….. This will happen exactly at a time where there will most likely be additional finical pressure on the towns which would make people more apt to make decisions based on budgets rather than out children’s wellbeing. I do not believe the Weiming-Uconn is a good idea for West Hartford. Peole’s Daily, a Chinese government owned publication, wrote on April 13 that Weiming – Uconn campus is almost a done deal. According to the article, “The town is supportive because of the education group’s intent to use the property for educational purposes; that it is proposing collaboration with other West Hartford public schools; and because the company will pay real estate taxes on the property – which is currently tax-exempt state land – to the town, the school said.” The argument is only partially true. First, Weiming is a for-profit organization, doing education is a tool to make profit, not their purpose. Second, Weiming’s proposing collaboration with West Hartford public schools is to serve their students and their own profit, taking advantage of “The outstanding academic reputation of both West Hartford and the State of Connecticut.” In other words, West Hartford public schools help Weiming make profit by selling school seats. West Hartford is not that financially distressed, and should not sell public resources, in my view. It is not good reputation to sell school seats. Third, Weiming will pay real estate taxes on the property. But West Hartford is not that financially distressed. West Hartford is lack of open space, and I like the ideas to make better use of the property, either park or sports facility. Fourth, superintendent Mr. Moore said “Every district has a piece in their mission statement about global citizens. West Hartford actually lives that.” To do that, however, it makes sense for West Hartford collaborate with not-for-profit schools overseas. Interests of WH public high schools and private for-profit Weiming are not in-line. In 1980-90s, many Japanese public high schools directly sent exchange students to the US public schools. There was no broker like Weiming bridging the exchange programs then. Fifth, Mr. DiScippio said that it’s premature to discuss a specific plan for the international academy students to study at Conard and Hall. However, Weiming has started to advise West Hartford public schools to recruit students in China. I feel Weiming is hiding their profitable business plan. It does not make sense for a for-profit organization to invest $12.6 million without a profitable projection. Bringing in 500 Chinese kids to West Hartford is different from opening a shoe store on the site. This proposed school could bring a significant change to the community. Sixth, Mr. Moore said “West Hartford Public Schools are expecting declining enrollment in future years, and will have capacity for additional students.” I fear some parents may move out of West Harford, making more capacity for Weiming’s Chinese students. West Hartford may eventually become a China town in ten years. Seventh, assistant superintendent Mr. Morrow said Weiming students’ language skills are exceptional, and no need ESL instruction. Seems their language skills are too good to be true to me.